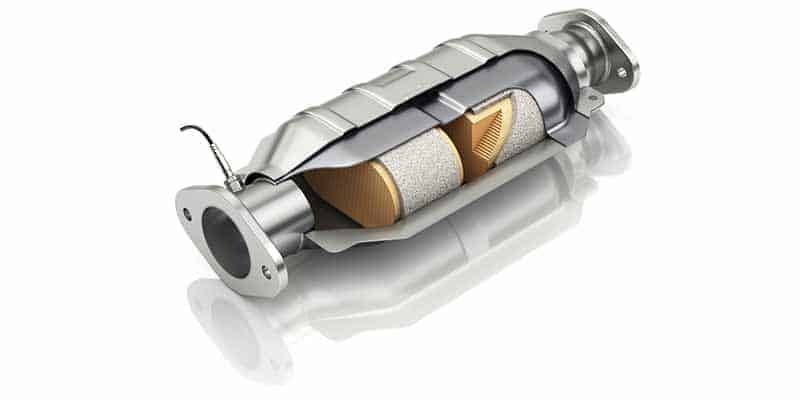 A catalytic converter is an emission device that has been installed on many vehicles since the seventies. This device is usually situated in front of the muffler in the exhaust system. This is an essential device in pollution mitigation, especially in urban areas where there is a large concentration of vehicles. 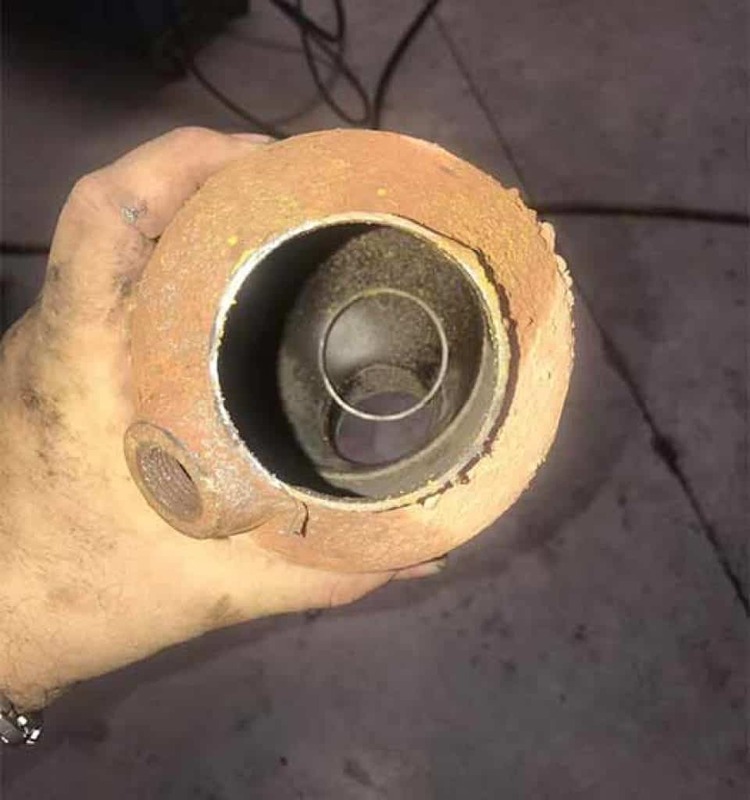 There is an obvious need to gain a deeper understanding of the behavior of catalytic converters, and how long they last. Do Catalytic Converters Go Bad? What Causes a Clogged Catalytic Converter? What Does a Bad Catalytic Converter Look Like? How Hot Does a Catalytic Converter Get? A catalytic converter must be hot to work. It is installed closer to the engine than a muffler, this way, less exhaust heat is lost before reaching the converter. The point where the converter starts to work is referred to as light-off temperature, which may vary from 400 to 600 degrees Fahrenheit. The basic operation of this device is to get rid of dangerous elements from the exhaust gases. This is achieved before the gases are released into the air. If the converter is working properly, you do nothing. You should first check other emissions equipment in the system and tune up your engine. Talking from experience, you can easily discard a good converter. I find it prudent to confirm whether or not it has reached its end. Read More: Why is My Check Engine Light Flashing and Car Shaking? The average catalytic converter lifespan is 100,000 miles. If other exhaust system components have to be replaced before the converter goes bad, you should treat it as an ordinary muffler. If the catalytic converter life expectancy is exceeded, then the device would most certainly go bad because of old age. Bad gas mileage catalytic converter is one of the major problems. A properly functioning cat will not hurt fuel economy and has no negative effect on performance. Your catalytic converter must never fail. If it does, then you have a significant problem. I found out the hard way that replacing the cat doesn’t necessarily solve the problem. It is only in the combustion chamber where fuel is supposed to burn. Therefore, any unburned fuel that is released from the combustion chamber finds its way into the exhaust system. When the fuel reaches the cat, it lights off. The light off causes the converter to heat beyond normal operating conditions, causing a meltdown. Loose or broken hangers and clamps may allow exhaust system components to cause a catalyst fracture. This can result in backpressure and interrupted flow, resulting in heat buildup. In the event of a misfire, air and raw fuel are pumped into the exhaust and through the cat. This much fuel and oxygen are burned, and the converter gets very hot. The excess heat leads to a meltdown, ceasing emissions functions as well as plugging the exhaust with a molten lump. Another cause behind cranky converters is nature itself. Rust and corrosion can eat away the converter casing. While the device can still work, the unprotected elements are superheated to the extent that you may lose your entire lawn in a fire. Converter failure can also be caused by contamination. Contaminants such as silicone and oil may get into the cat, forming a buildup of phosphorous deposits. The phosphorous deposits are likely to shorten the catalytic converter lifespan. Your catalytic converter fails when the catalyst loses its effectiveness or when the passages in the cat clog to keep exhaust gas trapped in the exhaust system and engine. In most cases, clogging occurs when leaded fuel is used or other contaminants. Also, converter clogging occurs when an engine is running on a rich fuel mixture for a long period of time. Normally, a rich fuel mixture generates high temperatures in a converter that causes parts of the cat to melt, plugging passages. You can confirm any suspicions you might have of a clogged catalytic converter by conducting a backpressure test. A clogged catalytic converter is hard to miss. In most cases, you will observe that the guts are broken, blocking the cat. One side may be broken while the other side appears okay. Once you turn on the engine, the exhaust manifold will immediately heat up. As chemical reactions occur in the cat, they create heat. Additionally, any unburned fuel will combust in the oxidation stage of the catalytic converter. When your car first starts it tends to run rich to promote fuel atomization. By running rich, the engine also causes a burden on the cat, causing it to get very hot. The converter is not effective until it reaches a certain temperature. The proper chemical reactions will not occur below 400 degrees Fahrenheit. The system is designed to operate at temperatures as high as 1,000 degrees; even though the reactions may be less efficient at such high temperatures. The cat can also reach temperatures of up to 1,200 to about 1,600 degrees Fahrenheit. After a few minutes of running, you will observe that the oxygen sensor becomes one of the hottest spots. This indicates the heat generated by the converter, which may reach up to 400 degrees Fahrenheit. A defective catalytic isn’t the easiest to catch when it is not heavily clogged. Usually, there is a tendency to assume that you have an engine performance problem. A real easy test for a bad converter is to simply drop the converter out of the system, and drive your vehicle with the exhaust coming directly out of the pipe. If your engine revs freely when you do this test, you have a bad cat. Don’t always be in a hurry to replace your converter; there might be a number of problems associated with your engine.